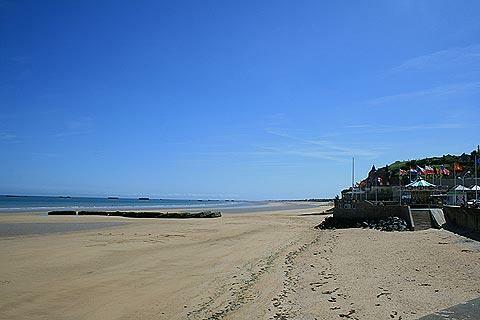 More correctly known as Arromanches-les-Bains, this coastal town is found in the Calvados department of Lower Normandy. 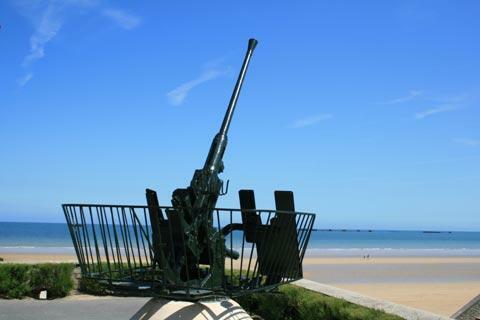 Arromanches is a pleasant seaside town which is also famous for the part it played in the D-day landings on June 6 1944. Arromanches was in the forefront of the Normandy landings after its beach, designated Gold Beach during the operations, was one of the beaches selected to receive the man-made landing harbours, known as the Mulberry Harbours, during the invasion of France that would lead to the end of the Second World War. The harbours were designed such that they could be floated across the English Channel to act as a temporary harbour for the D-Day Landings. France This Way comment: Arromanches is really quite small, more of a village in fact, although summertime visitors increase the population substantially. Most visitors are here because of the historical importance of the town. The beach is a lovely long stretch of golden sand and the town has a pleasant, lively atmosphere and there are plenty of bars, hotels and restaurants to make this a good holiday base, although the landing sites remain one of the key attractions to this area. 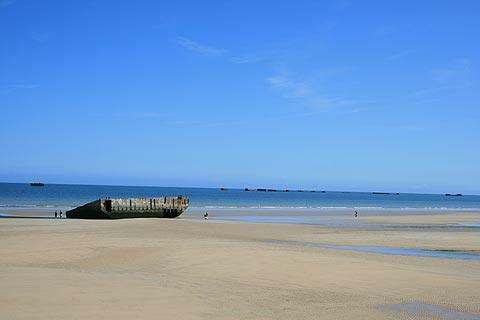 Remains of the Mulberry Harbour can still be seen at Arromanches with a couple of the concrete harbours on the beach and another line of them to be seen in the sea. It sounds a bit grim but really it is quite evocative. Beyond the main beach, which is in the centre of Arromanches, there is a long line of high white cliffs. 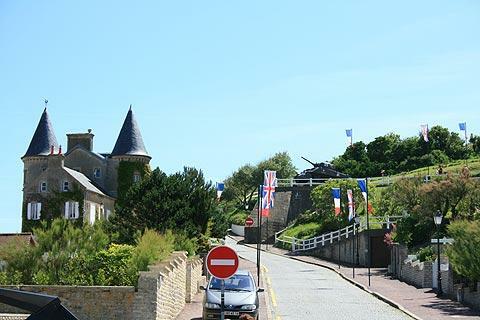 The best view across the town and beach is from the hill to the east of Arromanches centre, so we suggest you allow time to climb the hill and follow the cliffs. The other historic monument in the centre of Arromanches is the Church of Saint-Peter, built in the 1860's to replace an earlier church that had become too small for the growing numbers of people attracted to the resort. Museum of the Normandy Landings: a museum with information about Operation Overlord and the Mulberry Harbour and a lot of WWII weaponry - you will see other related objects such as a tank elsewhere in the town. 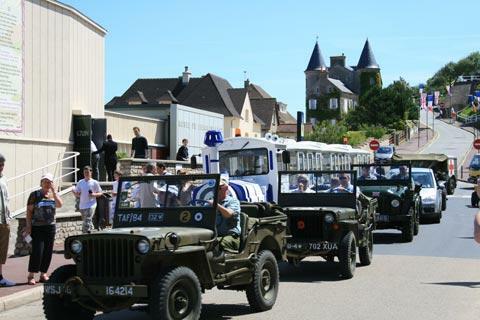 Arromanches 360: a 360° cinema with nine screens together showing the film «Le Prix de la Liberté». The film contains archive footage of the D-Day landings and immerses the visitor in a recreation of the experience. 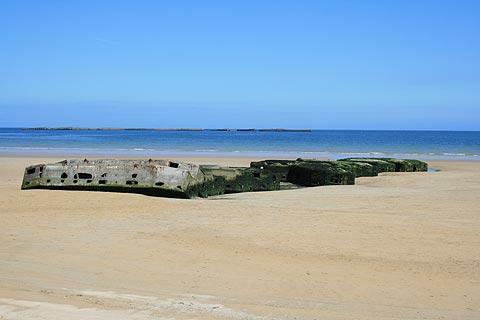 Nearby to Arromanches les Bains are the Normandy landing beaches of Omaha, Juno and Utah as well as a number of Allied war memorials and cemeteries. Historical note: The other beach selected was Omaha Beach near St Laurent sur Mer. 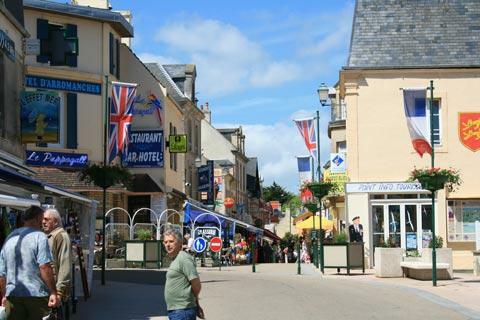 Arromanches is also close to Bayeux and its famous tapestry.